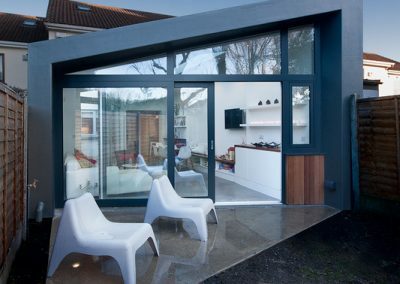 A sculptural, fibre-cement skinned 23sq.m extension was designed on this narrow plot to allow for a new sitting and dining space in the house. 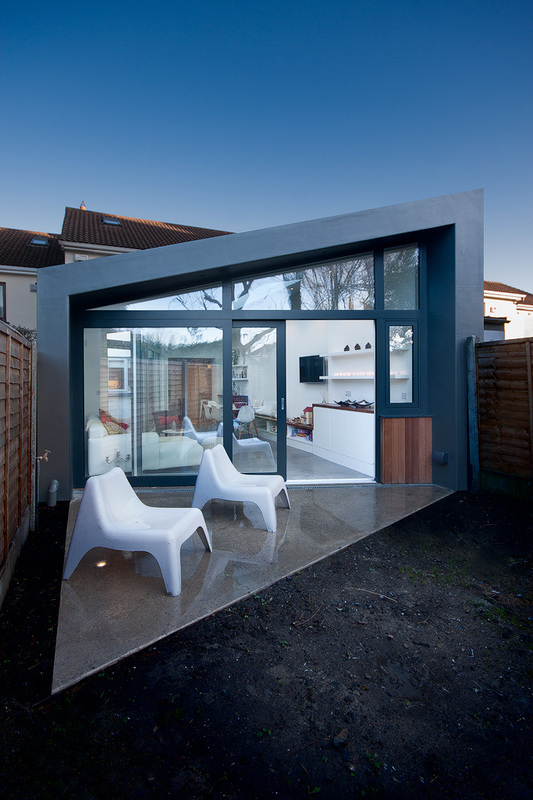 Aesthetically, the extension has been designed so that it stands on its own as a contemporary element. 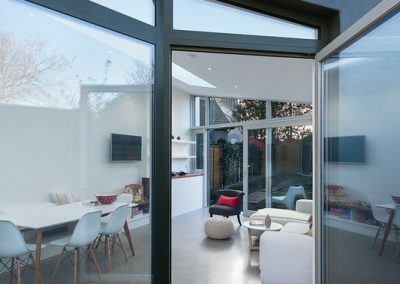 The perception of a light and airy form was proposed with a small courtyard formed between the existing house and new extension to break up the bulk. 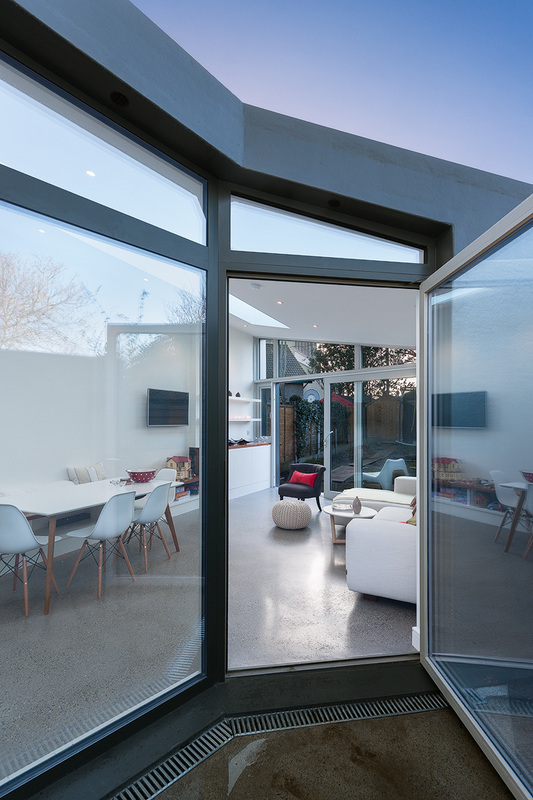 Externally the wrap around fiberglass cladding protects the internal space from the north face and creates a room that peels back to create a courtyard at the junction with the existing house and opens out to the rear garden. 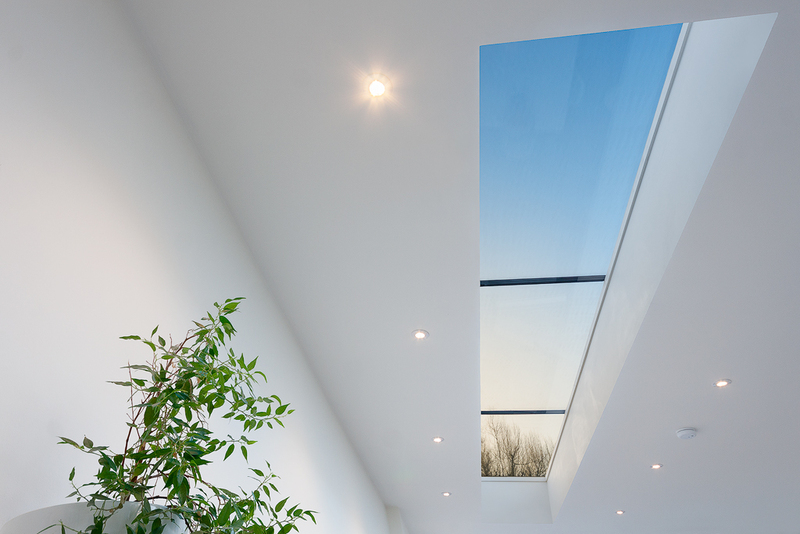 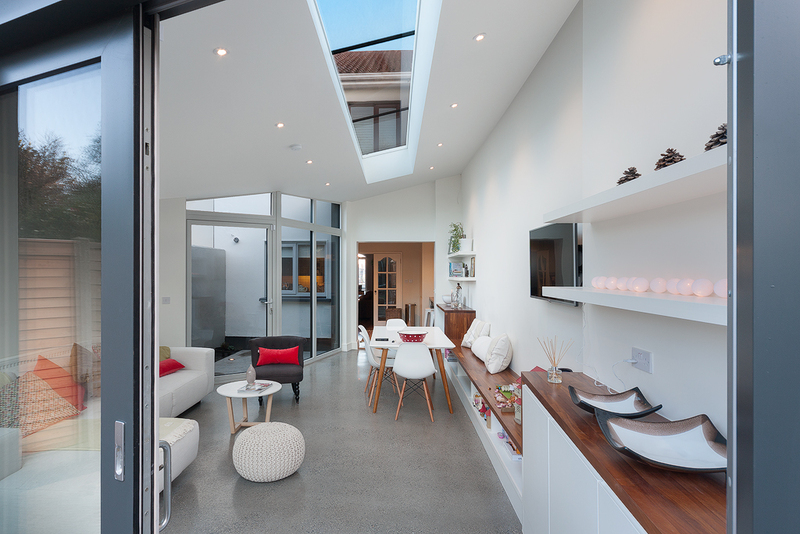 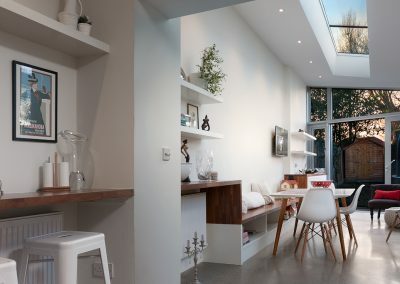 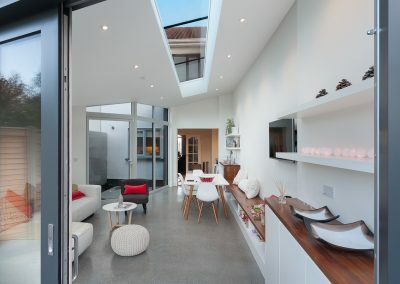 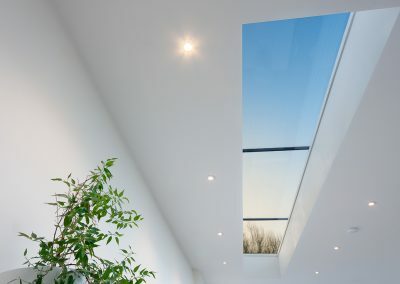 A rooflight maximises the sunlight coming into the space below, creating a light filled living space. 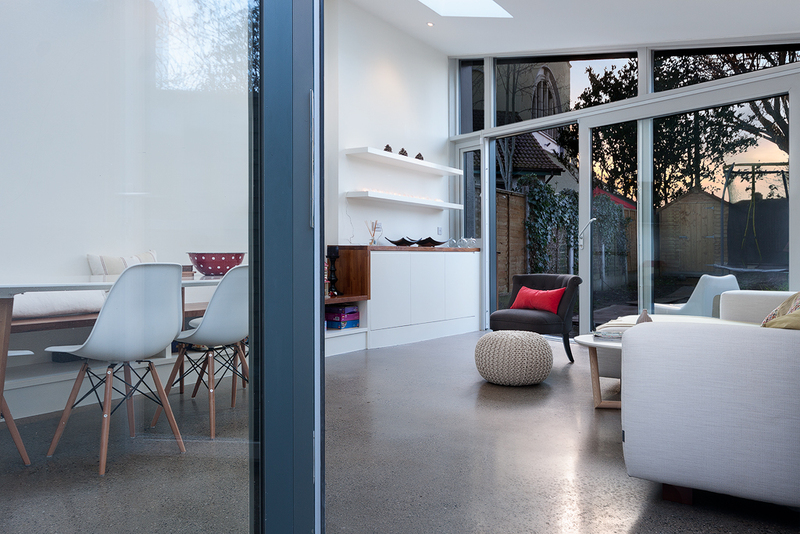 A polished concrete floor runs from inside out to create a patio to the garden.